Trying to find a good Christmas present for a red-pilled, conservative teenage boy of your acquaintance? MAGA 2020 and Beyond would make a fun treat. I should add that normally I download a sample to be sure that formatting and other structural issues don’t make it too hard to read, or that the author’s writing style appeals to me. To give credit where credit is due, this review convinced me to go ahead and grab an e-book copy straight away. Right now the collection is priced at 99 cents, and your story-reading-pleasure value (including some great new authors) for cashy-money expended can’t be beat. So, what’s funny-colored, brash, eclectic, and surprisingly excellent value? Our 45th President. And also Maga 2020! I have to admit, the cover really does sell the book, if you’re a Trump supporter, or a happily surprised “voting for anyone who isn’t part of the Clinton Crime syndicate” American. Because like Donald Trump, the cover may be not be elegant, but the stuff inside turns out to have a lot to offer for everyone. 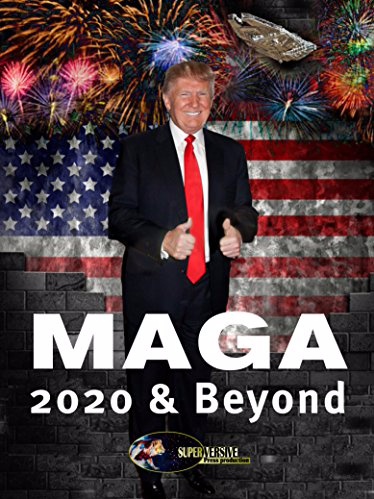 The editors of Maga 2020 have collected twenty-five stories and six essays about a future America based on a successful Trump presidency. What might America look like if we actually won the culture war and sent the repressive “control-left” scuttling back into the dank basement of history? It’s an eclectic mix, with something for everyone, united by a cheerful, positive, hopeful mood. The opening story by Jon del Arroz is completely over the top and silly, the Ivan Throne “Father Cincinnatus” had me rolling my eyes, but then “The Last Hippie” sucked me in. What’s funny about this is the way (as with Donald Trump) the book turns people’s expectations upside down. The “big name” draws like Milo Yianoppoulos or John Wright have both written solid essays and Brad Torgersen’s “45” is good. But the stories that really intrigued me, to the point that I ran out and bought other books written by the author, were by relative unknowns and newcomers to the field. And with the exception of one essay, I enjoyed reading them all. My favorite story reminds me of Zenna Henderson. Remember her? She wrote people-centric, solid science fiction about the triumph of the human spirit. “Auntie’s Magnificent Bricks” is science fiction in that tradition by total newcomer Christine Chase. I’m really hoping for more stories by her. Then there was wonderfully meta M.A.G.A.I. 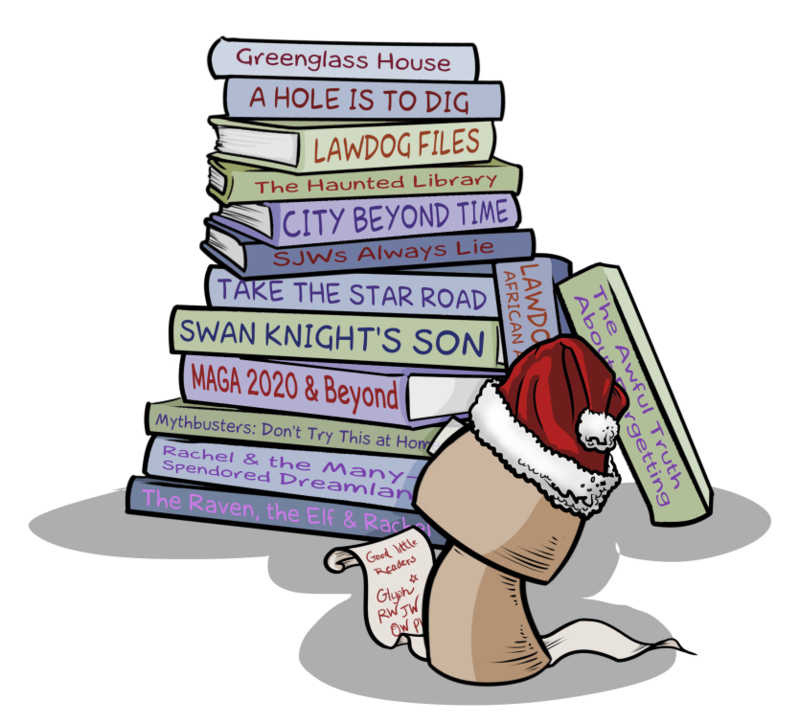 about the poor #Resist bureaucrat who had a really interesting coffee break, and the amusing “Magic of MAGA” about an ancient prophecy in another dimension that goes horribly, terribly, right. Get the e-book now while the price can’t be beat, and consider stuffing a stocking this Christmas with the paperback.